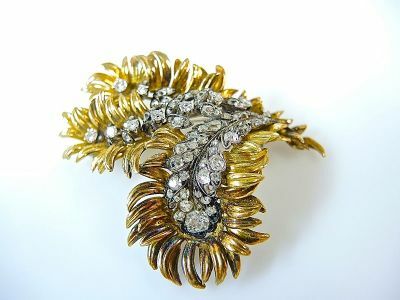 One 18 karat yellow gold spray brooch. Ten round brilliant cut diamonds (0.55 carats: SI-I1 clarity: F-G colour). Seventy-two old European cut diamonds (2.53 carats: SI-I1 clarity: H-I-J colour).